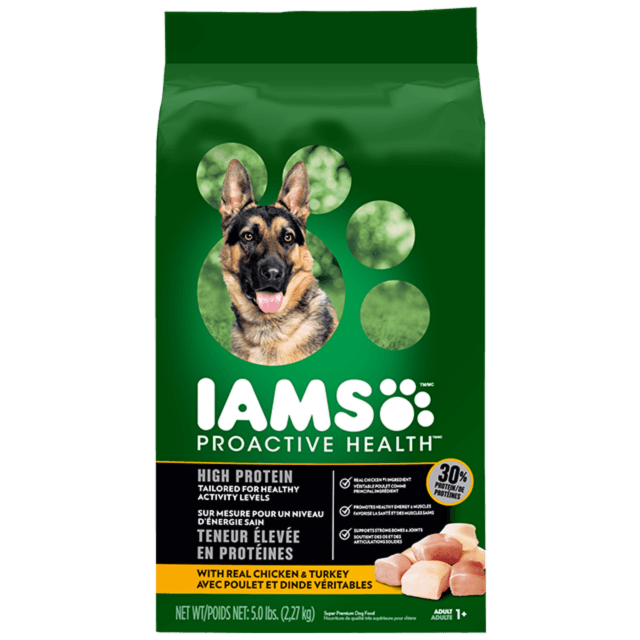 Packed with real wholesome ingredients with farm-raised chicken and turkey, this recipe uses high levels of protein and fat, to give active dogs the energy they need to ensure they're with you every step of the way. Formulated with essential minerals to help maintain strong bones & joints. Supports strong, firm muscles with protein sourced from chicken, turkey, and egg. Formulated with L-Carnitine to help maintain healthy fat metabolism. 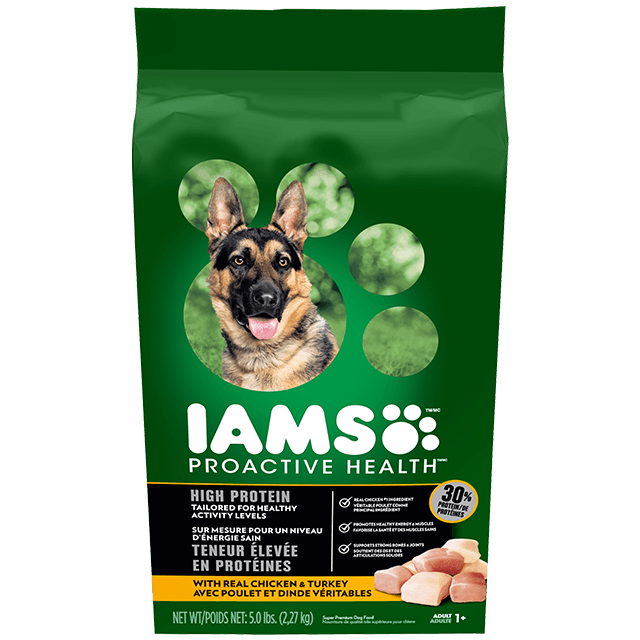 Because IAMS PROACTIVE HEALTH™ HIGH PROTEIN Dog Food is complete and balanced for adult dogs, you do not need to add vitamin or mineral supplements. 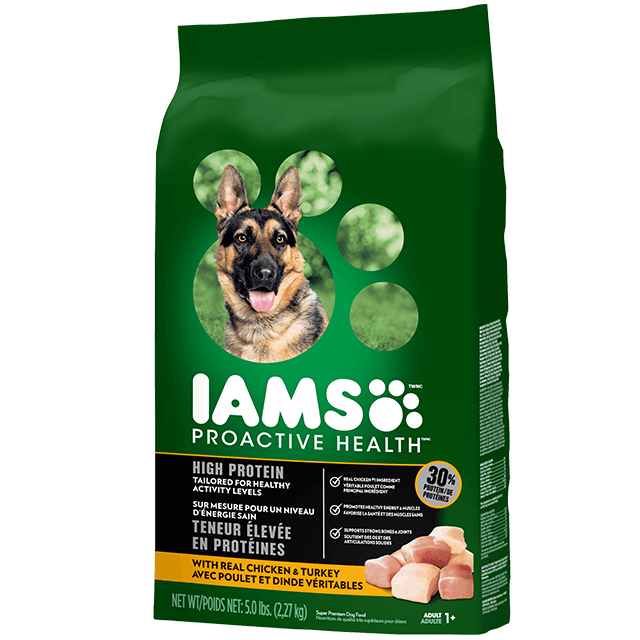 When introducing IAMS™ Dog Food, gradually mix it with your dog's current food over the course of 4 days. 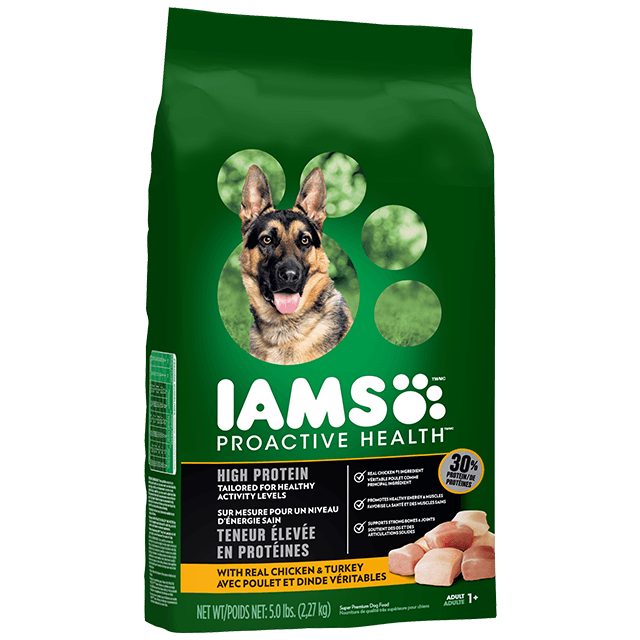 IAMS PROACTIVE HEALTH High Protein with Real Chicken and Turkey Dog Food is formulated to meet the nutritional levels established by the AAFCO Dog Food Nutrient Profiles for Maintenance.